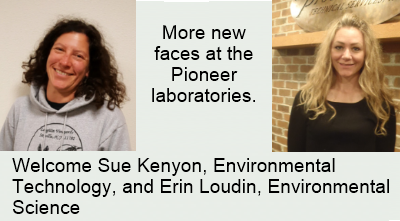 Welcome Sue Kenyon and Erin Loudin. They join the Pioneer laboratories. Sue and Erin join our team in the Helena Laboratory. 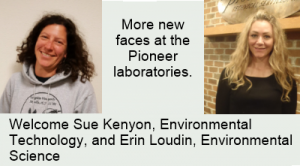 Erin’s specialty is environmental science, Sue’s is environmental technology. They joined our team in May of this year.